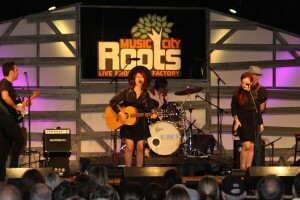 From Australia to America, Ruby Boots gave Jim Lauderdale and a packed audience a great performance at Music City Roots. The special night for Aussies, paying tribute to one of Nashville’s best, Jeff Walker, founder of AristoMedia Group. Jeff was an Australia native who died August 24, 2015 at the age of 65. Other acts performing were Oh Pep!, Raised by Eagles, and Rick Price. The night finished with St. James Infirmary ft. Mark Moffatt as they brought the audience to their feet with an astounding performance.